The demand for green computers has risen as more people become interested in protecting the environment. There are options available for green computing, including Energy Star, power saving computers. If you want to build a greener computer or upgrade to greener components, read below. There are a few regulatory agencies that are beginning to certify computer components for various measurements. 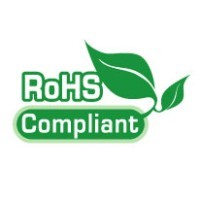 Currently RoHS is not enforced in the United States, but you can still get components that are certified. Energy Star is an international standard for energy efficient green computers. The program originated in the United States in 1992 and has since spread to many other countries. Going hand in hand with Energy Star is the 80 PLUS program that applies to computer power supplies. In order to qualify, a power supply must achieve an efficiency rating of 80% or greater meaning less power is lost and wasted. Higher efficiency power supplies not only help the environment, they will save on your electric bill. The Abit AN-M2HD Motherboard supports the latest AMD processors as well as the Athlon 64 and Sempron lines. The ASUS P5N-D will support the latest Intel processors as well as the Pentium line. The Samsung Spinpoint F1 750GB hard drive at around $119.00 will give you plenty of space. The Samsung HD250HJ 250GB hard drive is a bit smaller and comes in around $59.00. If you are looking for a new monitor, the LG L206WTY-BF Black 20" Widescreen LCD Monitor is both RoHS and Energy Star compliant. For only $219 it is decently priced as well. The Antec earthwatts EA500 500W power supply at around $89.00. If you don't need quite that much power, try the Antec earthwatts EA380 380W power supply for around $59.99. Advanced Configuration and Power Interface is a standard that allows your operating system to access the different computer components such as the hard drive or monitor and turn it off after a set period of time. Use Intel's Enhanced SpeedStep or AMD's Cool'n'Quiet to reduce the power of the CPU when it is not being used to its full extent. Make sure that if you are using AMD, you get the latest processor driver for your computer. You can find this at AMD's website. External Storage - if you are looking for an external hard drive, go for the 2.5" size of drives. They will use less power than their 3.5" counterparts. Using 2 memory DIMM's instead of 4 will reduce your power usage. Instead of four 512MB sticks or four 1GB, go for two 1GB sticks or two 2GB sticks. Take the time to setup Windows Power Options. If you do not want to turn your computer off, use the Stand-by mode to reduce power consumption to very low levels. If you only use your computer once a day, reduce stand-by power. Stand-by power is the power that is used when you computer is turned off but still plugged in. To get around this, use a dedicated power strip for your computer and peripherals, and turn the power switch on the power strip off. This will completely cut off power to your computer and eliminate the stand-by power that it draws. The CPU that you use can also help save money. The newer CPU's are more energy efficient than the older models. Core 2 Duo processors have cut their energy consumption in half over the older Pentium 4's. One of the biggest power draws on a computer are today's graphics cards. If you are running a home office machine, use the motherboard's integrated graphics and skip the graphics card. Turn off your monitor when you are not using it. Forget the screensaver. If you want to save a lot of power and a bit of wear and tear on your monitor, simply turn it off. Monitors can account for 20-30% of a systems power usage, so this can be a big savings for green computers.